Guardamar is a charming little resort just south of Alicante and close to Elche. It is best known for its 10 kilometres of beach and its sand dunes, offering secluded areas and interesting walks. Guardamar is also well-known for its large forest with pine, eucalyptus, cypress and palm trees. The forest was originally planted to shelter the town from sandstorms. It has attracted many species of wildlife and is now a protected area. The town also has two picturesque salt water lakes, which provide another haven for wildlife particularly birds. The green forest and dunes make an interesting contrast to many resorts in the Alicante region, which are renowned for their vast stretches of sandy beaches. The River Segura runs into the sea at Guardamar to provide another tranquil haven for tourists. 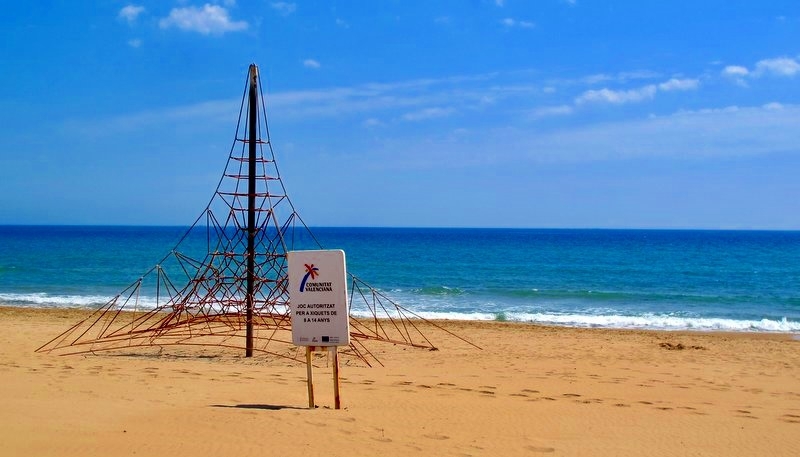 Guardamar is a popular resort for families and couples who are looking for a relaxing holiday with a Spanish feel. It is not commercialised and the nightlife tends to be low-key, which sums up the resort in general. Guardamar's main industry is tourism but it still relies on farming and fishing for trade. A type of pepper, called 'nora' or `bola`is grown here and is a symbol of Guardamar. It is a round, sweet pepper which is used generously in the Valencian and Alicante cuisines. Fishing for shellfish and eels is also a local tradition which continues to this day. Every year Guardamar holds the Semana Gastronòmica de la Nyora i el Llagostí, which is a gastronomic feast where the nora pepper and the local shellfish take pride of place in the dishes. Guardamar has several hotels ranging from four stars to hostels geared up for the tourist trade. You can try regional cuisine, particularly shellfish, in many restaurants as well as Mediterranean, English, Chinese or other international cuisines. The Guardamar Castle was built by the Arabs to guard the land. Much of it has been destroyed although it is still worth taking a trip to the castle for the fine views and photo opportunities. The museum is in the Old Town and houses a permanent collection of artefacts found in excavations in and around Guardamar.The most significant find was the Dama de Guardamar sculpture dating from the sixth century. Water sports are a popular pastime with the clear waters providing a great setting for windsurfing, waterskiing, fishing, scuba diving, swimming or simply sunbathing. There are also tennis courts, a swimming pool and golf nearby. You can park by the marina and then walk around the boats to the dunes. Driving through Santa Pola to Guardamar, on both sides of the road are salt lakes, along with large white hills made of salt. 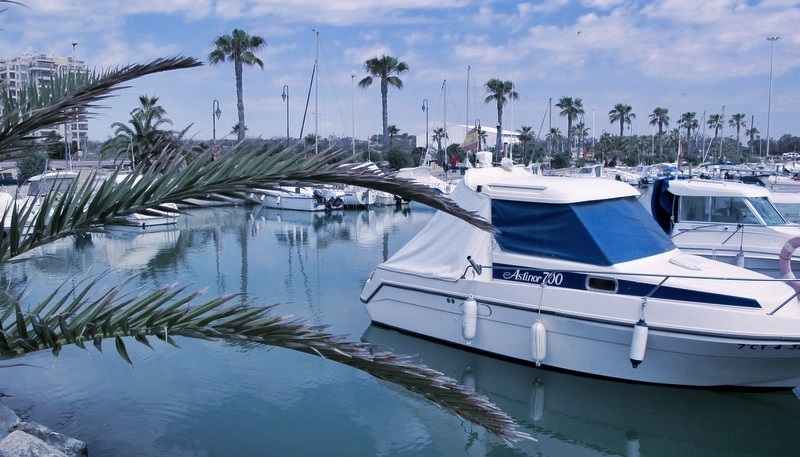 Guardamar is the perfect spot for practising water sports including sailing, wind-surfing, kayaking or jet-skiing. The shallow waters are great for snorkelling too. The beaches are beautiful with really fine, golden sand and crystal-clear water. Our favourite is La Roqueta. Visit the Reina Sofia park with its ornate tiles, fountains and lakes. There's a children's play area and you may even see a red squirrel.